It seems like whenever Aussies get their hands on a vehicle, they want to try to make it better. That’s why the likes of FPV and HSV have thrived over the years, but there have always been smaller workshops putting in the hard yards too. 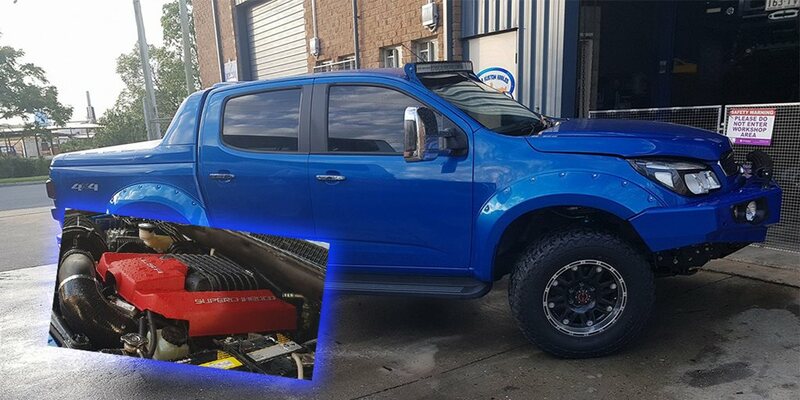 One such shop is Queensland-based Killa Kustom Kables & Conversions, which has recently started building LSA-powered Holden Colorados. And it even has a cool name – Killarado. The company’s owner and manager Steve Kildey says it all began with a customer request. “This started when a customer came to us wanted us to build something for them,” Kildey told MOTOR. He says it struck them as a good idea when they considered that Holden was no longer building a V8 car, but accessing LS engines was still quite easy. “So far we’ve done six Killarados, including one that we’re about to finish up. His Killarado is putting out 339kW at the rear wheels, while retaining the ability to go four-wheel drive. Kildey says the swap isn’t actually as difficult as you might think, and only takes around four weeks from start to finish. The turbo diesel engine comes out, and the 6.2-litre LS motor goes in (either an LS3 or LSA), with a custom loom and a few mounting changes. “The LSA isn’t actually much bigger than the stock motor when you take into account the turbo hanging off it, so it’s a little more spacious if anything. Kildey says they do send the cars off to Wildcat Performance Headers for a new exhaust, as well as doing a calibration tune to make sure the new engine and Holden 6-speed auto gearbox are comfortably at home in the Colorado. They can also customise suspension and other aspects of the Killarado to a customer’s needs. But for a basic LS-swap, Kildey says pricing starts at $26,000 for a second-hand LS3. Killa Kustom Kables & Conversions has plans to distribute the swaps nationally, with a company in Victoria currently discussing a partnership. “Our customers haven’t had their cars for long, the earliest one went out a couple of months ago, but so far I’ve had nothing but good feedback.